Benson, NC: Mrs. Patsy Ann Massengill Beasley, age 70, of 604 Morris Ave died Saturday, October 20, 2018 at SECU Hospice House in Smithfield. Graveside funeral service will be 3:00 PM Tuesday, October 23, 2018 at Blackman’s Grove Baptist Church Cemetery at Blackman’s Crossroads. Bishop Dennis Smith will officiate. Mrs. Beasley was born on December 29, 1947 in Johnston County to the late Beaty and Martha Capps Massengill. She was preceded in death by her husband, Robert Lee Beasley; son, Robert Allen Beasley and brothers, Bobby Capps and William Earl McGee. Mrs. Beasley was a homemaker and also was a retired elderly caregiver. 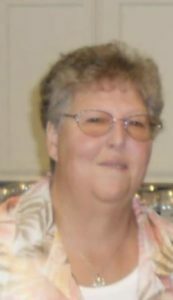 She was a member of Unity Pentecostal Church in Benson. The family will receive friends at Rose & Graham Funeral Home in Benson from 1:15 PM- 2:30 PM Tuesday prior to the graveside service and other times at the home of Randy and Carol Beasley, 2531 Benson-Hardee Road, Benson, NC 27504 .